The Electro Magnetic Lifter UL For Plate Lifting ( UL-821) ensures that the plates will not fall even when electric power fails. Known for their efficiency and long life, the Electro Magnetic Lifter UL For Plate Lifting ( UL-821) is feature-studded. 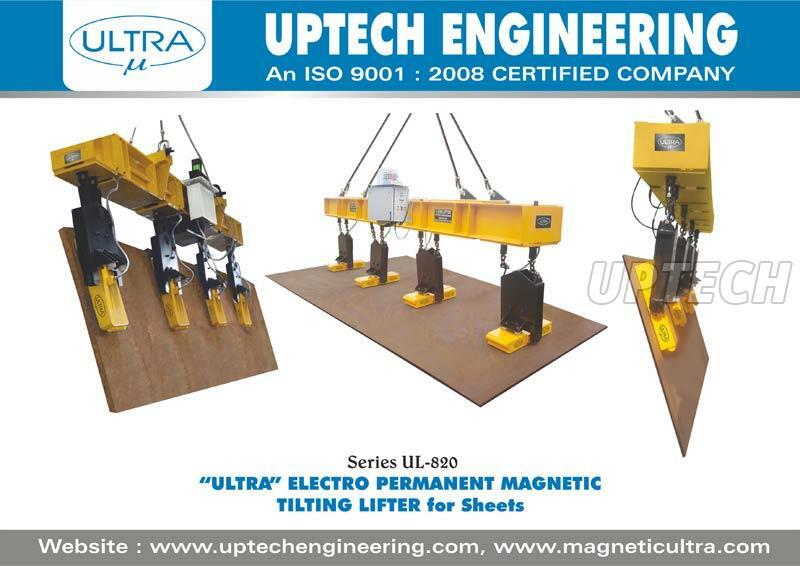 The company offers the Electro Magnetic Lifter UL For Plate Lifting ( UL-821) at the best prices. Combination of permanent as well as electro magnet power which is required to clamp the job or de-clamp the job. Handles plain as well as bend sheets in short it will take care of bend of plates. Two buttons are to be press simultaneously with help to avoid chance of accident. Lamp block Displays the systems present state. Ideal for handling single plate in stockyards. Most effective in the ship building industry. It is use on flame cutting m/c. Plasma cutting m/c and water jet cutting m/c. It is useful for handling small as well as large plates. EPM lifter is design as per customer plate sizes. Controller is having special facility of selector switch help for lifting small size sheets and large plates. 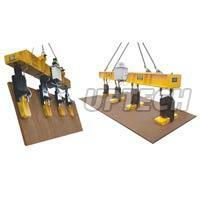 It is the EPM lifting system is very suitable with EOT / Gantry / Mobile crane etc. Radio Remote Control : Operates from a convenient distance all the function i.e. Mag / Demag / Inching. Adprem : Accidental demagnetization prevention mechanism. Disable the demagnetization cycle when carrying load.